Do you consider the fact that you spend a third of your life in your bed? We did think about this and therefore we developed the very best sleeping comfort of handmade silk quilts, pillows and exclusive bed clothes made of Egypt cotton satin for you. This optimizes and creates the necessary conditions for a good sleep during the night. The indescribable luxury of softness, luxurious comfort and temperature regulate qualities will take care of your important hours in bed. 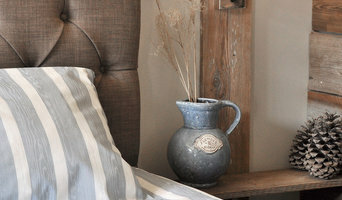 The quilts and pillows are filled with a exclusive height quality Mulberry silk. Products are made of Oeko-Tex 100 textiles. Combined Combined The quilts and pillows, together with our excellent assortment in bed linen, made of exclusive long fibre soft combed Egypt cotton gives you the best sleeping comfort you can have. Our goals are to provide the best of silk and cotton for your sleep. All in Nm 60-80 Egypt yarn , woven on Italy machines, together with the tradition of many years craftsmanship, 40 years textile competence and designs from the Swedish outer archipelago of Gothenburg and inspirations from journeys all over the world. Planning a bedroom makeover? Creating a luxurious retreat won't be complete until you fund the ideal duvet, linen and other bedding. Quilt covers alone can transform a space from ho-hum to a grand boudoir. 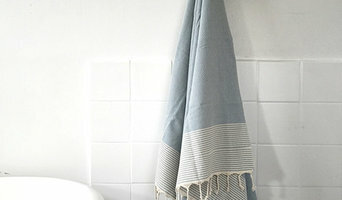 In the same way, a bathroom makeover can be as simple as new bath towels or bath accessories. A bathroom renovation in Stenkullen could see you sourcing a new bathtub or bathroom taps. Here are some related professionals and vendors to complement the work of bedding & bath: Home Stylists and Property Staging, Kitchen & Bathroom Designers, Interior Designers & Decorators, Furniture & Accessories. A good place to start is re-vamping your storage. In a bathroom, where storage is often in short supply, a supplier who has a wide variety of brands and ideas can save your days of searching. So start by perusing the reviews and ratings of bedding and bath manufacturers and retailers in your Stenkullen, Västra Götaland County, Sweden area.